We offer a range of useful accessories to complement our magnetic wall coverings. 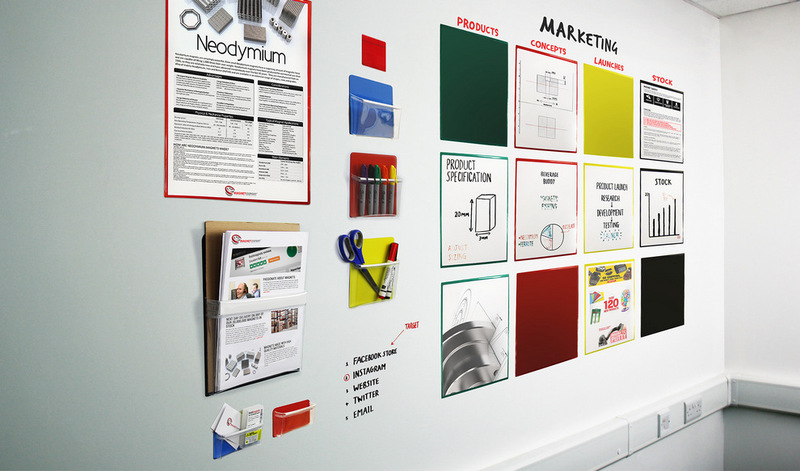 From displaying documents and creating unique presentation spaces, to holding easily accessible stationery, our magnetic pouches, dry-wipe flexible sheets and Scrumboard magnets bring structure and efficiency to your workplace. Choose from a variety of sizes and colours, and use with our convenient magnetic tape dispenser to bring your walls to life. 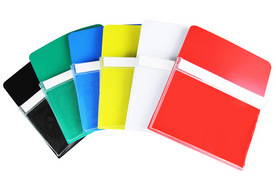 Colour coordinate your workplace with our magnetic pouches and scrumboard magnets. Easily organise departments and display information for your team. 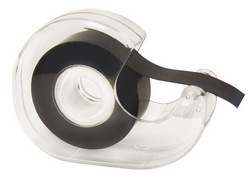 Our magnetic tape dispenser allows you to work quickly and accurately, by easily cutting our 19mm magnetic tape to your desired length. Bring efficiency to your day. 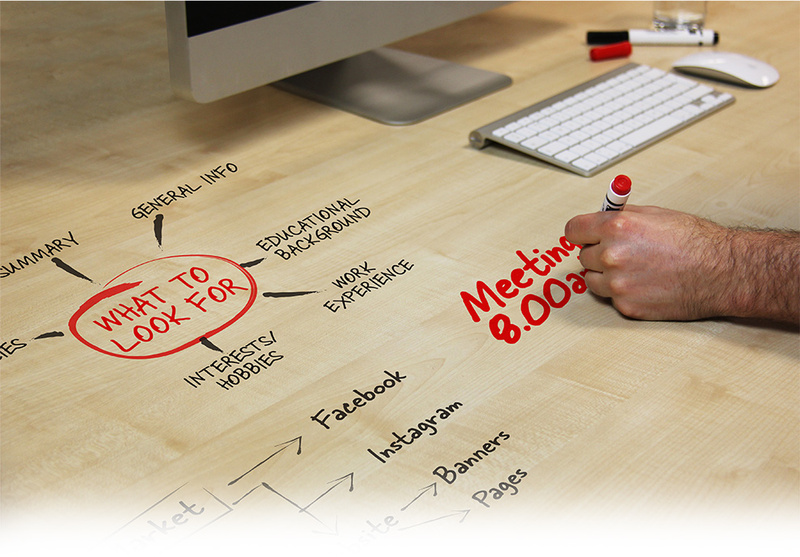 Dry-wipe flexible sheets turn ordinary surfaces into perfect presentation areas. 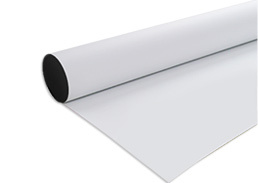 Available in Gloss White and Transparent with the option of easy-cling or self-adhesive backing.